The iconic, landmarked Ridgewood Theater is now officially a Blink Fitness gym. According to a recent press release from the Blink Fitness team, the gym officially opened this Tuesday inside the ground floor of what once was the 92 year running movie theater. It's the 75th fitness club opened by Blink and one of their eight locations in Queens. "The premium-quality, value-based fitness club will be hosting a grand opening celebration for their 75th club, opening in at 55-27 Myrtle Ave," said the press release to Bushwick Daily. 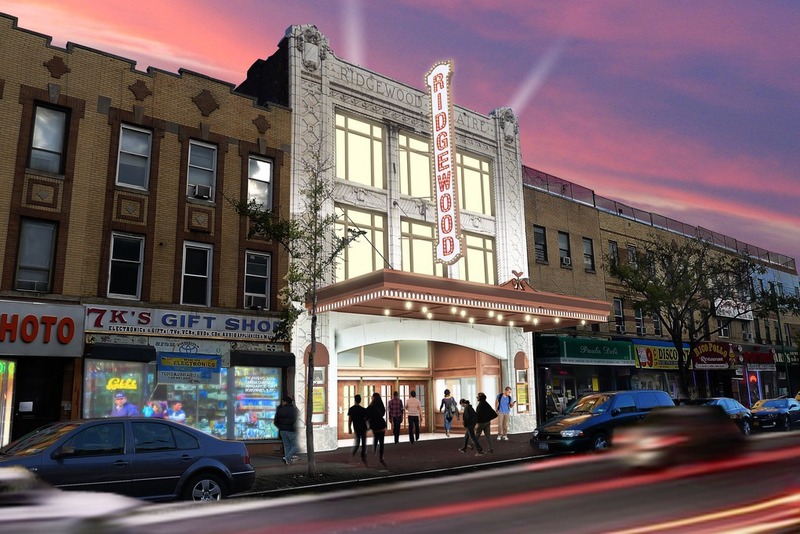 Many Ridgewood residents have expressed mixed feelings about the theater being turned into expensive housing and a gym. Bushwick Daily has reported in the past about Bushwick native Anthony Arroyo who attempted to raise funds on GoFundMe for an ambitious project to rent the ground level commercial space at the Ridgewood Theatre and open there a community-focused performing arts space. The facade has been a landmark since 2010, but that was not enough to save the building from being sold to developers and turned into housing.